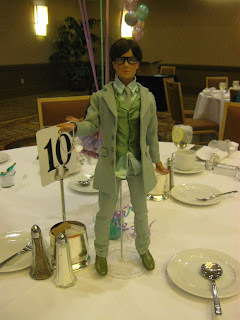 The club was honored to once again host the Tonner dinner at the 62nd UFDC National Convention in Anaheim, California. This year the convention, "Les Celebrations des Poupees", featured holiday themed breakout events. 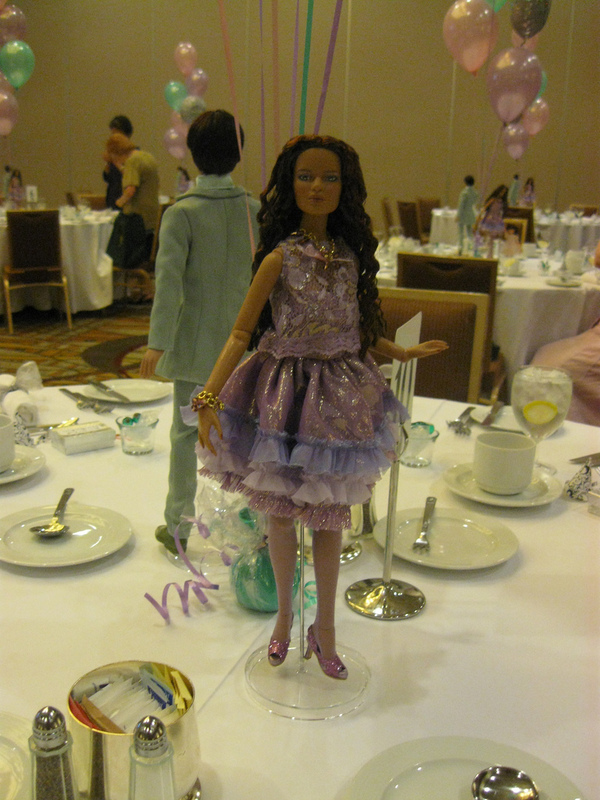 At the New Years Eve themed Tonner event, attendees "rang in the New Year" with event doll Cami and centerpiece dolls Jon and Andy Mills, each attired to party all night long. 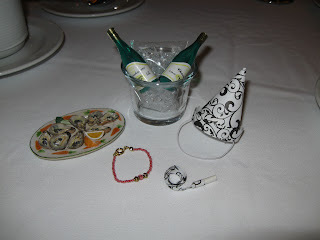 MetroDolls provided everyone with table gifts of champagne on ice, a plate of oysters, hat, noise maker and necklace for their dolls.